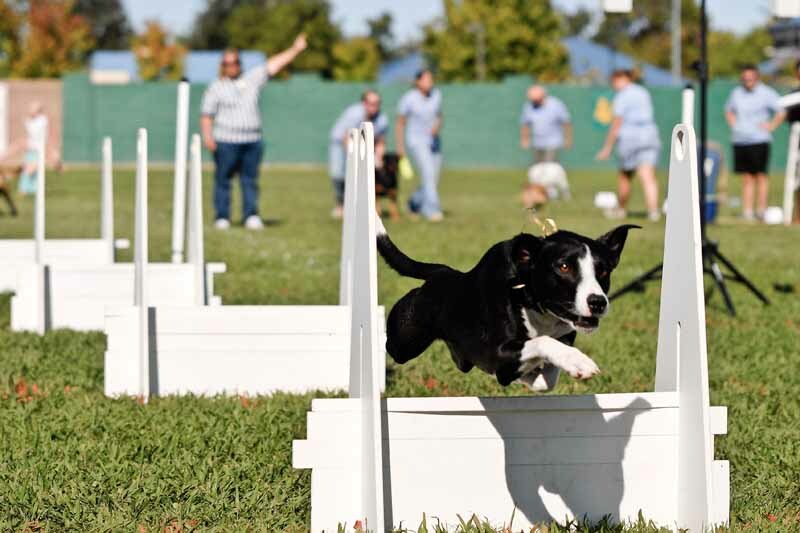 It is an exciting dog sport in which two teams of dogs’ race against each other from a start/finish line, over a line of hurdles, to a box that releases a tennis ball to be caught when the dog presses the spring-loaded pad, and then back to their handlers while carrying the ball. The first team to have all four dogs cross the finish line error free wins the heat. Penalties are applied to teams if the ball is dropped or if the next relay dog is released early. Visit http://www.glocdogs.org/ for more information.